In 1983 56 year old Gerry Clark sailed his self-built research vessel “Totorore” from Auckland to the Chatham Islands, to the coast of Chile, Round the Horn, past the Falkland Islands surviving a dismasting, a capsize and another dismasting, through pack ice in the South Sandwich Islands, around the Cape of Good Hope, passing Prince Edward Island, Marion Island, the Kerguelen Islands and again surviving being rolled through 360 º twice and then rolled through 360 º three times to limp into Freemantle during the America’s Cup in 1986 .When he returned home he had completed a circumnavigation of the world in the approximate Antarctic convergence zone. This has been described as one of the most remarkable small boat adventures of all times. For his voyage in “Totorore” Gerry Clark was awarded the MBE, the Northland Harbour Board’s Blue Water Trophy 1986, the Tilman medal for Cruising in High Latitudes[by the Royal Cruising Club of Great Britain],the Royal Akarana Yacht Club’s Tequila Propeller Award,the Fred Norris Medal of the Devonport Yacht Club,the Stolberger Memorial Award of the New Zealand Yacht Club Navigators Society,the Blue Water Medal of the Cruising Club of America, and he was elected a elected a Fellow of the Royal Geographical Society. But it is the 12th of June 1999 – 19:00 hours. Martin Renner, German born researcher at the University of Otago sits patiently in the old Castaway Hut at Hutt Cove, Antipodes Islands by the single side band radio waiting for his skipper and fellow birdwatcher, Gerry Clark to call in on their regular radio schedule from the 10m yacht “Totorore”. No word. Renner knows there is a strong northerly forecast, a very unusual occurrence at the Antipodes in the middle of winter. Gerry Clark has told him that he intends to seek shelter in South Bay on the southern end of the Antipodes Islands, a tiny bay with an entrance not much more than 400 feet wide and very exposed to the prevailing southwesterly swell which even on a calm day can be 4 metres. Although unusual, Renner knows that Gerry Clark has had difficulties with an earth leak on the boat and therefore sometimes the batteries aren’t fully charged. Having sailed from Lyttleton to the Antipodes, a voyage of 430 nautical miles, Renner and his partner, Anya Schultz know the peculiarities of the “Totorore”. 13th of June – still no word on the single side band. Renner’s 12 volt batteries which drive the single side band do not allow him to leave the set on continuously as they are losing charge. He checks Anchorage Bay and Hut Cove for weather and any signs of the “Totorore”. It is blowing a northerly and quite strong. Hutt Cove and Anchorage Bay are now a lee shore situation. He assumes the “Totorore” is hanging in the lee of the island, somewhere near South Bay but without being able to contact due to battery problems. 14th of June – still no word. Renner decides to call Bluff Radio on 4417 MHZ. He speaks to Mere Leask who in turn alerts Search and Rescue. Gerry Clark’s wife, Marjorie refuses to accept that there could be any difficulties and so no search is undertaken. The “Totorore” was built by Gerry Clark in 1983 from an Allan Wright design. Double diagonal Kauri, she is 36 feet long. She is a bilge keeler with a cutter bow rigged with twin roller furling headsails and a main. She is fitted with a Volvo 27hp diesel auxiliary and self-steering gear. Gerry Clark, a master mariner, former member of the Merchant Navy is a very experienced seaman. 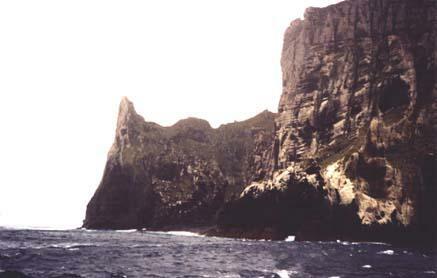 His idea of fun is to spend weeks on end at Cape Horn cataloguing the various birds which frequent that area. But he is 72 years of age and he does have to take Warfarin to thin his blood due to a previous stroke. His colleagues, Gus McAllister and Jacinda Amey with whom he had spent some time on the Bounty Islands, Campbell Islands and Auckland Islands notice that he is a bit slower than he was. As Gus say, “if there is ever anything ever to be done on the boat, it is always done in the same way – very meticulous and no panic”. The “Totorore” has survived many near misses often due to what apparently was an unreliable starting system on the motor. Indeed, in Gerry’s book “The Totorore Voyage” many pages are devoted to their exploits in various countries with mechanics trying to fix problems with the “Totorore”. However, Gerry’s idea of a risk is different to many. His shakedown cruise after he built the Totorore was a trip to the Chatham Islands from Kerikeri no less! The next day Renner makes the seven hour return walk from the former Castaway Hut to South Bay. He stands over the 300 foot cliff face of South Bay and examines the Bay and the horizon. On that day it is relatively calm and the clear waters of the Antipodes do not show any sign of the “Totorore”. Renner is struck by the possibility that the “Totorore” could have foundered and they could be left alone on the island as castaways. The Antipodes water at this time of year is clear due to the absence of plankton. The bottom which is generally sand in a thin layer over rock, appears to be no more than 5 or 6 feet deep. Renner and the family come to the conclusion that Gerry is offshore and will return when he is ready. No one can understand why no radio contact has been made however. Martin Renner and Anya Schultz wait until the 19th assuming that Gerry Clark and crewman, 47 year old Roger Sale had moved offshore due to the gale force northerly conditions because they had been unable to find an anchorage. On the 20th Martin makes the seven hour trek back to South Bay to again look for the vessel. To his shock and horror he spots pieces of wreckage on the rocks below the 300 foot cliff in South Bay. He climbs down to examine the wreckage which he feels sure is part of the “Totorore”. He brings the wreckage back to the hut and passes on the sad news to the Ranui and Mere Leask at Bluff Radio. An immediate full scale grade 3 oceanic search has already been initiated by the Rescue Coordination Centre at Wellington. Meanwhile, on the 19th of June Search and Rescue contact the charter ketch, Ranui a 70 tonne recently refitted vessel, to ask if they will undertake a search in the area-renowned as one of the bleakest and most desolate places in the southern ocean with a view to rescuing the two researchers on the island and searching for the “Totorore” and its crew. The vessel is rapidly provisioned and makes ready for sail to the Antipodes in the stormy southwest conditions prevailing at the time. The Ranui departs Port Chalmers with a crew of four together with two former colleagues of Gerry Clark’s, Jacinda Amey and Gus McAllister who have worked with Gerry Clark for approximately nine years and have previously completed research on the Antipodes. The Ranui sets a course of 105 º magnetic in winds of 32-40 knots from the southwest with a 3-4 metre swell. The Antipodes Islands located in latitude 49 º, 79 minutes south and 179 º, 48….. a minute east is 400 nautical miles or 800 kms to the east on a course which means the Ranui is taking the seas beam on. Skipper, Richard Allen and crew hoist the main and yankee jib in an effort to reduce the motion caused by the beam on seas and the 70 tonne ketch makes up to 10 knots in heavy conditions with rainfalls and snow showers. Search and Rescue have also put an Orion search craft into the air for two days , searching over 70,000 square miles. They report nothing. They could not go slow enough to spot wreckage in a bay at the Antipodes. Renner checks the tracks over the island for any footprints or any sign of life but finds nothing. Gerry Clark’s family are feeling somewhat embarrassed about a search being instituted, feeling sure that the invincible Gerry would simply sail back into the Bay as he had done many times before. While the “Totorore” had been built for these tasks in mind, it was not a large boat by any means and any wooden boat or steel boat for that matter dashed against the rocks in this bleak desolate area would have little chance of survival. The Ranui arrives at the Antipodes at first light on Wednesday morning to discover the island with the remains of 2 inches of snow which had been covering the island for the last 2-3 days. Conditions at the island are bleak with an air temperature of 2 º low mist and occasional hail. The crew of the Ranui, recovering from their battering of the last 2 ½ days, duly dub the island “the rock at the wind factory”. Its high basaltic rock formations jutting straight out of the Southern Ocean give the crew a foreboding as to the fate of Gerry Clark and Roger Sale and their vessel “Totorore” which as they already know has been dashed to pieces on these unfriendly shores. The German researchers, Martin Renner and Anya Schultz are picked up off the island and bought to the Ranui for hot showers and sustenance and debrief the crew of the Ranui as to the searches which had been undertaken thus far. Gus McAllister and Jacinda Amey are then put ashore to commence a search of the island that they had traveled to with Gerry Clark previously. The following day they make their way to South Bay descending the cliffs and searching the area to bring back more wreckage and look for survivors. Meanwhile the Ranui combs the shore areas from Anchorage Bay past Alert Bay, Crater Bay, Stella Bay, Ring Dove Bay, Albatross Point, South Islet and finally, South Bay in fairly atrocious weather conditions of approximately 35 knots and a swell and sea combined height of probably 4 metres. South Bay is too exposed to complete any dredging operations as had been hoped. The weather systems are a series of fronts bringing south-westerly and westerly conditions. The only conditions in which South Bay would be navigable would be in northerly conditions. Anchorage’s in Antipodes are very difficult to find due to the sand over rock nature of the bottom. At times a swell and roll of up to 2 metres is experienced in the anchorages and the high winds, combined with the 500ft basaltic cliffs, williwaws of at least 60knots test the Ranui’s 80 fathoms of ¾ inch chain and CQR anchor. There are only really three Bays in which a competent mariner would consider anchoring. A 24 hour anchor watch is required and the Ranui is chased out of each of its anchorages due to the shifting weather conditions and the heavy swell which at time curl in to both Anchorage Bay and Ringdove Bay despite it being in the lee of the island in southwest conditions. The following day the skipper of the Ranui, Richard Allen, Roy Godman, Martin Renner and Anya Schultz attempt an ascent of these vertical cliffs to meet with Gus McAllister and Jacinda Amey at the top of the cliff face. This ascent is aborted due to the difficult nature of the terrain and the longer than expected time it would have taken to reach the top which would have meant a descent of the cliff that evening in darkness. Gus McAllister and Jacinda Amey complete a search of all known tracks on the island looking for footprints or any signs of life. Nothing is found. Storm force conditions, 50-60 knots of wind and a heavy swell bending around the lee side of the Antipodes Islands makes it impossible for the Ranui to land the inflatable at Hut Cove that evening. In all five days are spent ashore searching the island whose topography is all tussock and peat bog. The next day is spent preparing the Ranui for a return voyage to Dunedin. But as the weather continues to deteriorate in terms of long range forecasts, there is a window of time to make the two and a half day voyage back to Dunedin. The Met Service are forecasting 60 knot winds and seas to 12 metres but a high is moving eastwards off the coast of the South Island with the westerly air stream just beneath it. The skipper of the Ranui elects to make a dash for the coast with the alternative being if the winds hit to run with them to Wellington. ¾ inch plywood shutters are fixed to the wheel house windows of the Ranui. Everything is batten down and tied down. The crew leave the island filled with emotion at the apparent loss of friends and fellow mariners.The bond which all seafarers have with each other is a strong one.They are also in trepidation of what the Southern Ocean may dish out on the trip home. The Ranui which is a former coast watch supply ship, spy ship during the second world war and once used as a royal yacht by the Queen of Tonga during her ownership by the New Zealand Government is a very sturdy and seaworthy vessel but punching into 40 knot winds and 5 metre seas for 36 hours in any vessel is no fun. They wonder as they warm themselves in RANUI’s centrally heated saloon what the end must have been like for Gerry Clark and Roger Sale.One is convinced that there is a spirit of the sailors aboard. The crew are relieved when the wind changes to the west northwest 30-35knots, allowing yankee jib, mainsail and mizzen to be hoisted giving the Ranui a speed of 8 knots under sail with much more comfortable movement. In fact the motion is so much better that the seasick passengers suddenly emerge with colour in their cheeks and talking about red meat and cooked food. At 200 miles off the coast the evening “‘point to point “bulletin from Taupo Maritime Radio tells skipper, Richard Allen that Puysegur Point is being buffeted by north-westerly winds of 60 knots as forecasted. The Campbell Islands has 50 knots of westerly. The crew are all silent as they anticipate the likely onslaught. Skipper Richard Allen wants to use the most of the present conditions so that if the winds do hit they will be closer to the mainland and in less danger. Motor sailing at 10 knots the sturdy ketch makes good time with an ETA for Taiaroa Head of about 0300 2nd July. The wind only increases to 40 knots which she handles, true to her Colin Archer type design, with no trouble at all. The crew celebrate getting to 100 miles off the coast of New Zealand with a full roast meal cooked by Gus and two bottles of wine where we drink to Gerry Clark and Roger Sales. As the Ranui nears the shore the crew prepare for the media onslaught and the difficulties of telling Roger Sales’ mother, June and his brother, Chris who had also sailed on the “Totorore” in its first expedition to the Antarctic, the bad news. They also bring with them their solemn cargo as sole evidence – a floor and keelbolt, part of the hull and gunwhale, a squab and a piece of the doghouse – all positively identified as coming from the “Totorore”. The conclusion skipper, Richard Allen and the crew of the Ranui, Charles Brassell, Fossey Fisher and Roy Godman reach is that due to gale force northerly conditions the “Totorore” anchored in South Bay on or after the night of the 12th of June. 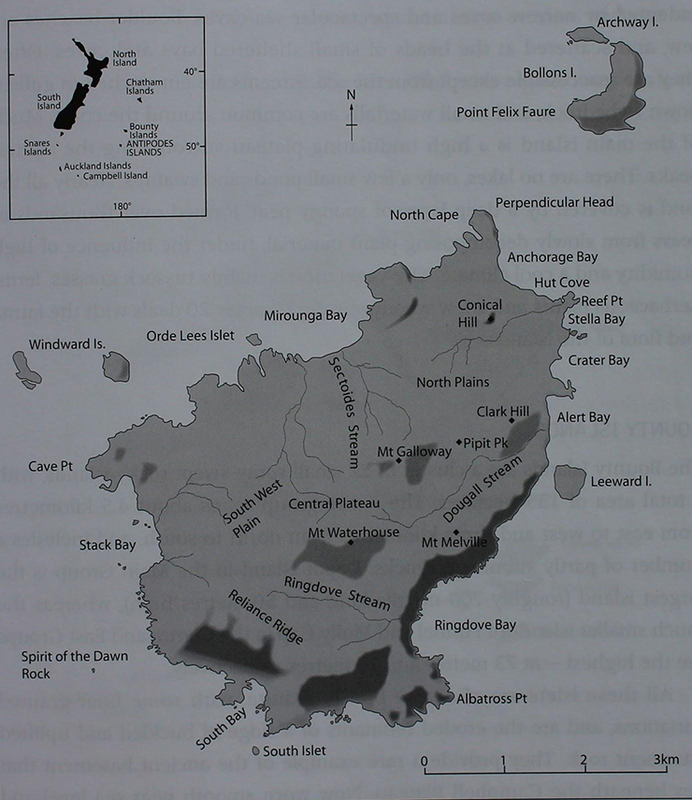 The storm which wreaked havoc on the mainland at that time giving a huge dump of snow to the mountains in Queenstown, New Zealand may have caused the “Totorore” to be caught on a lee shore in South Bay where her anchor dragged and she smashed on the rock which is located virtually in the middle of that Bay. The vessel sank to the bottom (approximately 15 fathoms). It is believed that when Martin Renner searched the Bay on the 15th of June the “Totorore” was still at the bottom and yet to break up as it is noted that on that day the conditions were calm. The later storm surge broke the vessel up with the wreckage being located in the confined corners of South Bay. It was not located anywhere else on the shore thus indicating the vessel foundered in the Bay itself and not offshore. As to Gerry Clark and Roger Sales the mystery remains as to why they could not reach shore as the distance to get to shore would be not more than 200-300 yards. Although it is known that Gerry Clark was taking Warfarin, was 72 years of age and had had some difficulties with his heart, his crew member, Roger Sales was 47 and known to be fit and healthy and an experienced sailor and operator of his own charter yacht as well. It seems hard to understand how even a sudden pounding of the vessel on a rock would not give the crew time to make the rugged shores of this island. 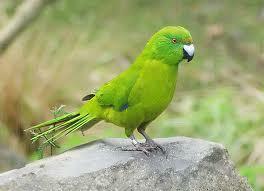 The searchers are sure however that they are not on the island and they are certainly not on the ill-fated “Totorore”. Their fate will continue to be a mystery until some firm evidence is found as to what really happened and closure can be brought to the remarkable life of one of New Zealands sailing legends and to that of his crew Roger Sale. “I watched the sky a long time, concluding that such beauty was reserved for distant, dangerous places and that nature has good reason for exacting her own special sacrifices from those determined to witness them”….Admiral Richard E.Byrd -Alone.